For many cities, the future will hinge not just on addressing their worst neighborhoods, but also on maintaining and reinvigorating the neighborhoods that house what remains of America’s middle class, contends Alan Mallach, a senior fellow at the nonprofit Center for Community Progress, in a paper published by the Lincoln Institute for Land Policy, an excerpt of which is published in Next City. Mallach notes that as the US industrial economy grew, cities needed districts to house their growing workforce—along with shops, schools, parks, and other community benefits to make these areas attractive. These “middle neighborhoods” were once the backbones of their cities. But now, just as the middle class itself is shrinking, many of the neighborhoods that housed these workers are also in trouble. 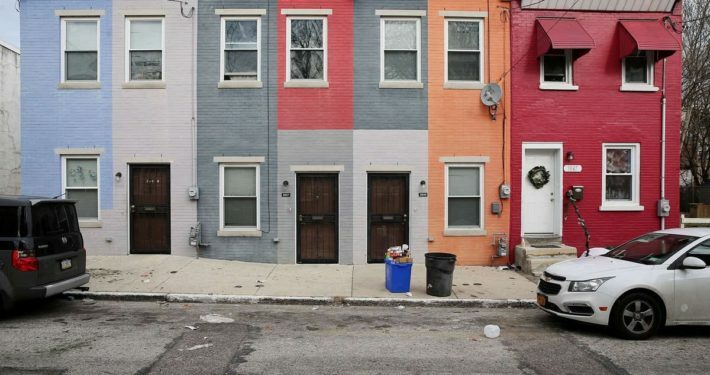 Some cities, like Seattle or Washington, DC, “solve” this challenge through gentrification. This may lead to better infrastructure, but at the massive human cost of pushing out low-income and working-class residents. Many…neighborhoods continue to be buffeted by the stress of demographic and economic change, aging housing stock, suburban competition and more, often exacerbated by adverse public policies. And nowhere are these risks greater than among the many middle neighborhoods in our cities that for decades have housed much of the nation’s African American middle class. Exacerbating these cities’ and neighborhood’s challenges is the growing economic divide leaving those with the least resources farthest behind. Housing patterns have become more economically segregated, and the growth of the service and gig economies has made it harder to earn a middle-class wage. This situation has severe consequences for middle neighborhoods by undermining potential housing demand. Even in areas where homebuyers may want to live, the condition of the houses on the market may deter many. Without a major infusion of public or private capital in the coming years, much of the housing in middle neighborhoods is at risk of deteriorating further, potentially to the point of no return…The question arises whether the capital is available and whether the demand exists to either to upgrade these houses or replace them with new houses or apartments that better reflect market preferences. Despite some change over recent years, market demand is still strongly racially segmented. While black buyers are willing to buy homes in neighborhoods of all racial configurations, and some white buyers are increasingly willing to buy in racially mixed areas, they continue to avoid areas that are predominately African-American, particularly in those parts of cities that have been defined as distinct racial “territories”…thus, little of the large white demand pool reaches predominately black areas, while the smaller black demand pool is dispersed across all of the region’s neighborhoods. As civic leaders search for the right public policy framework to avoid further decline, Mallach sees a need to prioritize these urban neighborhoods. Neighborhoods are social as well as physical entities, and robust social capital can promote stability and stave off decline. Local and state governments should support neighborhood-driven efforts to build and sustain strong communities in conjunction with programs to improve physical conditions and foster homeownership. One size does not fit all. Neighborhood-based strategies—in middle neighborhoods and elsewhere—must be grounded in solid data on each neighborhood’s social capital, collective efficacy, and market trends.